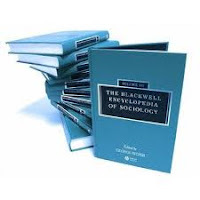 This is a copy of a publication in The Blackwell Encyclopedia of Sociology, edited by George Ritzer, 2007. Also available in pdf format. Please cite as: Deflem, Mathieu. 2007. “Legal Profession.” Pp. 2583-2584 in The Blackwell Encyclopedia of Sociology, edited by George Ritzer. Oxford: Blackwell Publishing. The legal profession refers to the whole of occupational roles purposely oriented towards the administration and maintenance of the legal system. Encompassing lawyers, judges, counselors, as well as experts of legal education and scholarship, the legal profession has been the subject of considerable reflection in the sociology of law. This sociological interest parallels the enormous attention devoted to the legal profession in various strands of socio-legal studies, including also other social sciences besides sociology as well as legal scholarship, which in turn is the result of the successful monopolization of the execution of legal functions and the resulting social standing and closure of the legal profession. The fact that the legal profession is among the most researched aspects of the institution of law is thus a direct function of the professionalization of the legal role itself. Yet, although most scholarly research on the legal profession comes from within legal scholarship and from law-and-society perspectives that are firmly nestled in legal education, there also exists a distinctively sociological tradition that examines societal aspects of the legal profession from the viewpoint of a multitude of theoretical orientations. The aspiration to maintain occupational autonomy is one of the legal profession’s most critical and sociologically challenging characteristics. This professional independence is a concrete expression of the autonomy of law as a whole. Rooted in Baron de Montesquieu’s famous doctrine of the separation of powers principle, the ideal of legal autonomy finds primary expression in the establishment of an independent judiciary. Further manifestations of the autonomy of law are provided in the workings of the courts and, most importantly, the professionalization of the legal occupation. The autonomy of legal practice is primarily reflected in legal education and legal practice, as the legal profession has been successful in controlling admission to and the organization of law schools and legal work. Theoretical differences exist on how the place and role of the legal profession is to be conceived from a sociological viewpoint. Most studies in the sociology of the profession are indebted to the focus on the professionalization of legal work in modern societies that was first systematically addressed by Max Weber and which was subsequently taken up by Talcott Parsons with respect to the role of the professions in the legal system’s integrative function. Max Weber defined law intimately in relation to the legal profession by specifying law as a normative order that is externally guaranteed by a specialized staff, including police, prosecutors, and judges. Under conditions of modern societies, Weber maintained that law rationalized in a formal sense on the basis of procedures that are applied equally to all. Legal professionals takes on a special role in this context because they are involved in the adjudication of law on the basis of acquired legal expertise. The institutionalization of expertise in matters of law secures the specialized status of the legal professional on the basis of the state formally granting such monopoly. In modern sociology, Talcott Parsons gave special consideration to the legal profession’s role in securing integration through the legal system. This conception harmonizes with the functionalist attention towards law as a mechanism of social control and also betrays the broader Parsonian attention for the role of the professions in modern societies. The successful acquisition of expertise in a particular occupational role is the profession’s most outstanding characteristic. The legal professional is primarily someone who is learned in the law and who can provide specialized services on the basis of this expertise. The legal professional thus mediates between the polity as legislator, on the one hand, and the public as clients of the law, on the other. In more recent decades, sociological perspectives have offered more varied, sometimes radically alternative viewpoints on the role and status of the legal profession and its autonomy. Theoretical perspectives have been introduced that transcend the functionalist obsession with integration to contemplate on the law’s role in terms of power and inequality. Most distinctly focusing on the legal profession have been representatives of the so-called Critical Legal Studies movement which have pondered on the behavior of judges and lawyers irrespective of, and often contrary to, law’s self-proclaimed ideals of justice and equity. Arguing that legal reasoning is affected by dozens of personal biases depending on legal professionals’ socio-structural backgrounds, these perspectives have in their most radical form critiqued the very basis of the legal professional’s aspiration to autonomy and expert neutrality. While not necessarily overly critical in orientation, most recent sociological studies of the legal profession have pointed towards greater diversity in the legal profession than a simple model of professionalization can account for. Sociologists have specifically contemplated the more complex behavior of the legal profession once it has been successfully monopolized, when it also seeks to influence the state and its legislative potential. Among the more enduring sociological puzzles, also, are the increasing diversity of the legal profession since the latter half of the 20th century. Unlike the cohesive group of old, legal professionals nowadays comprise a wide variety of practitioners, educated in a multitude of legal programs, and are more broadly representative of contemporary society with respect to gender, age, and ethnicity. The increasing diversity of the legal profession, however, has not always been accompanied by increasing equality, as many disparities have been observed to persist, such as earnings gaps among male and female lawyers and differences in cultural and economic capital between solo practitioners and employees in large law firms. The presently high degree of stratification in the legal profession may thus have brought about a lack of professional unity. Abel, R.L. & P.S.C. Lewis, eds. (1995) Lawyers in Society. University of California Press, Berkeley, CA. Halliday, T.C. (1987) Beyond Monopoly: Lawyers, State Crises, and Professional Empowerment. University of Chicago Press. Hoy, J. van, ed. (2001) Legal Professions: Work, Structure and Organization. Elsevier, Oxford, UK. Sandefur, R.L. (2001) Work and honor in the law: prestige and the division of lawyers’ labor. American Sociological Review 66, 382-403. Shamir, R. (1995) Managing Legal Uncertainty: Elite Lawyers in the New Deal. Duke University Press, Durham, NC. Weber, M. ( 1978) Economy and Society. University of California Press, Berkeley, CA.